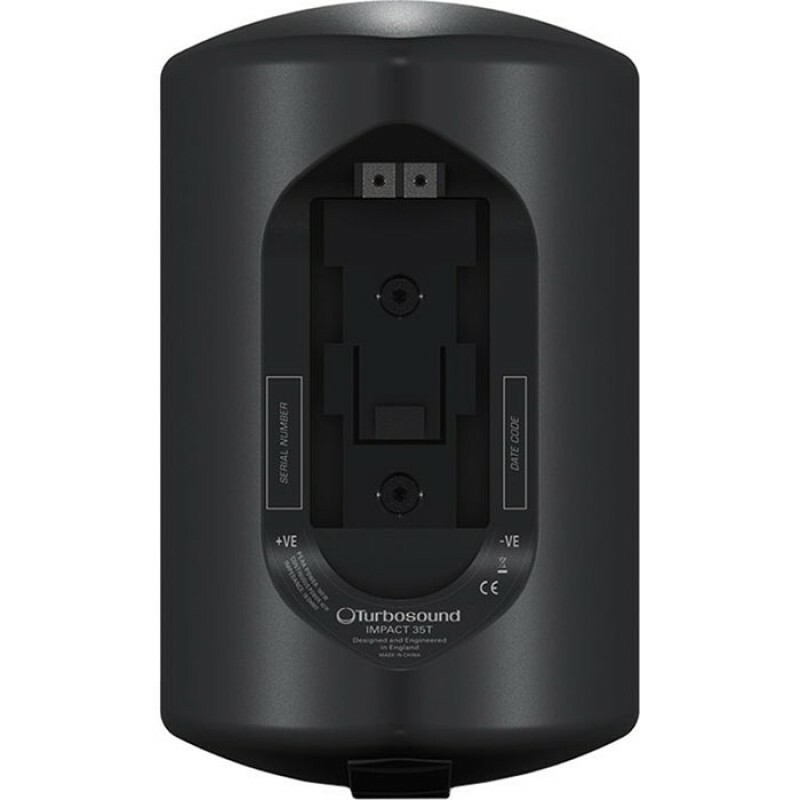 Impact 35T from Turbosound is a two-way passive loudspeaker using 3.5" low-frequency drive unit matched to a 1” neodymium ferrofluid-cooled HF tweeter with an internal passive-crossover network and including an internal line transformer. It provides high-quality sound reproduction from an unobtrusive cabinet. It is supplied with a multi-tapped internal line transformer for use in 70V and 100V line-distributed systems, and includes a low-impedance setting. 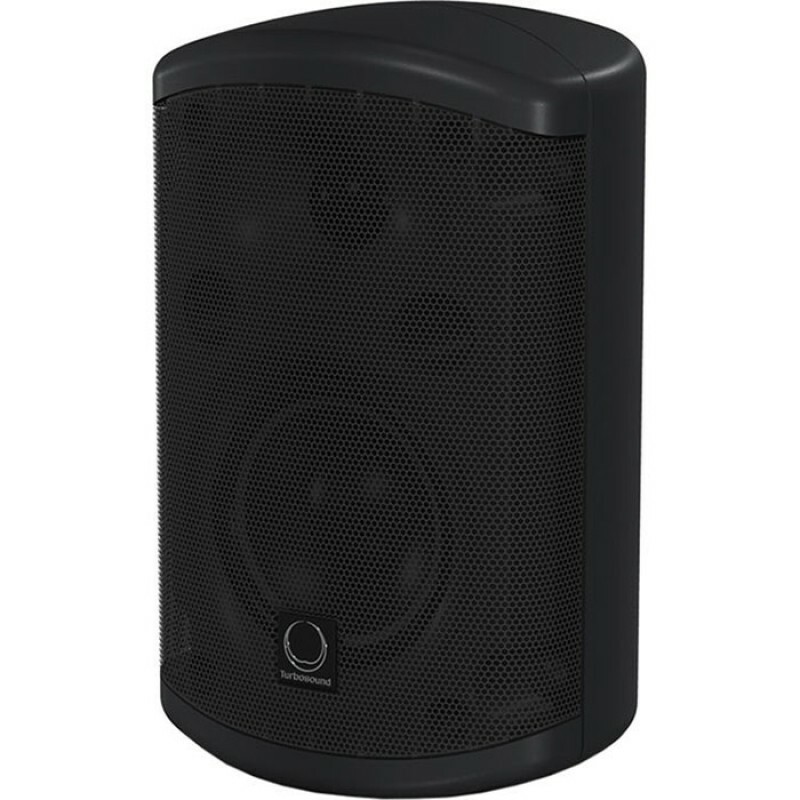 The low-frequency range of the loudspeaker can easily be extended with the TSB-110 Sub-Bass Enclosure (sold separately). The loudspeaker is supplied with an adjustable wall-mounting bracket which provides the loudspeaker connections as an integral part of the bracket assembly. This allows the brackets to be sited, installed, and wired independently of the loudspeakers being available on-site, making the final installation and commissioning of the loudspeaker system a more efficient process. dBTech Cromo 12 Club Active SpeakerActive Speaker 12” / 1” 400 Watt The CROMO 12Club bi-amped active speaker is equipped with digital amplifier delivering 400W power. The 2-way bi-amplified speaker is equipped with 12” woofer (2” voice coil) and 1” Neodymium driver (voice coil 1”) loaded with 90°/70..
Marshall MS-2C 1W Vintage GreyMarshall's MS-2 Micro Stack pumps out a ton of pure Marshall tone for its diminutive size. This miniature guitar combo amp is ideal for weekend getaways, impromptu jams, and just having fun. One watt may not seem very loud, but trust us - this puppy can crank. You get c..
Soundcraft GB4-32 Mixing ConsoleThe Soundcraft GB4 Mixer sets a new standard in affordable high-end mixing. The 32-channel mixer is laden with capabilities and quality features: GB30 mic preamps, reengineered circuit topology and EQ designs, rigid steel chassis, high-quality vertically mounted fiber..
Speaker Aktif dB Tech B·Hype 10dB Technologies B Hype seris adalah speaker aktif yang sudah dirancang mengunakan amplfier Kelas-D yang efisien sehingga membuat suara yang dihasilkan sangat bagusSpeaker db tech B-Hype seris dapat menerima SPL hingga 126.5db tampa distorsi dari sinyal audio.dB Technol..
db12 Active Direct BoxAt dbx, when we do something, we do it right. So when we decided to create our new direct injection boxes, we didn’t settle for the same old tired approach to direct box design. With our dbx name on the line, how could we? One look at our new dB10 Passive and dB12 Active direct..